System ontology and epistemology Last week I used concept mapping to show the relationships between two systems models: (1) a general ontological system model using the iceberg metaphor (in yellow); and (2) a general epistemological (inquiring and design) system model to show the importance of three systems concepts viz. inter-relationships, perspectives and boundaries (see post here). The idea came after watching the iceberg video of Dena Hurst. From one thing comes another so yesterday I figured I should more clearly distinguish between the two models. I called the first one ‘systems’ (and how they behave) and the second one ‘thinking’, i.e. about systems (see concept map below). People are special in the sense that they live and work in systems, but also do all the thinking about them. 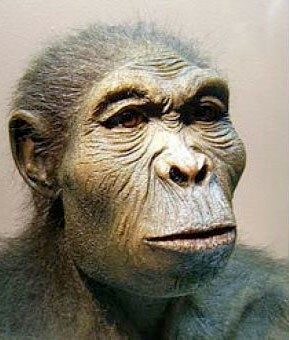 Homo systemicus In fact, referring to the human species as Homo sapiens (“wise human”) is a misnomer. It would be much better to use the term Homo systemicus, instead. We derive our brains from millions of years incessantly designing systems. One of the first designs was that of fire (efficacy, efficiency, reliability, safety, logistics, ergonomics, symbolism, applications, e.g. in cooking, agriculture or torture). The best designers survived. This doesn’t mean that our designs are flawless, which is why we should not be called ‘wise‘. Systems design is difficult, confusing, and wicked problems define the ‘condition humaine’. This is even more so if one doesn’t know what systems thinking is. Now, fire is probably a design by Homo habilis (see reconstruction on the left), 2 or 3 million years before homo sapiens. But systems thinking as a field of study only emerged in the 20th century AD. And it has flourished since then, creating many branches. By now, the field is so confusing that it becomes difficult to understand, even to people who are much more intelligent than Homo habilis. Hence this effort to bring some order. The framework core … is the part with the bold red frame around it. I started describing it in the first paragraph of this post by saying that there is a systems part and a thinking part, roughly corresponding to the ontological and the epistemological aspects of systems thinking. It must be emphasized that it is impossible to make a clear distinction between these two aspects. So it may even be better to speak of ontological and epistemological poles of systems thinking, somewhat similar to bipolar magnets, where every part of a magnet, even the tiniest particle, has two poles. In the core of this ‘magnet model’ we see how the iceberg model of Dena Hurst (and many others) and the fundamental systems concepts of inter-relationships, perspectives and boundaries must be combined to obtain a complete framework of systems thinking. The next step was simple. Systems methods …. can now be linked to a part of the systems framework core. But beware, they wouldn’t be systems methods if they would only operate on a small part of the core framework. The linking parts are more like entry points or a focal essence by which one systems method can be distinguished from another. A good overview of methods can be found in Systems concepts in action (see below) or Wicked Solutions (see below). Unfolding is of the essence ‘Unfolding’ is systems shorthand for a process of inquiry aimed at understanding the implications or relevance of one part of a system for another part. In fact, much of what is called systems thinking is applying one method of inquiry or another. Particular systems methods correspond to particular inquiring systems and all of them have some form of unfolding, whether tacitly or explicitly. This means there can be considerable overlap between systems methods. But they can also complement each other, which suggests that a combination of methods is best. Gerald Midgley and Michael Jackson give many examples in their works. In fact, Wicked Solutions could be considered a more recent, highly accessible example of such a combination. 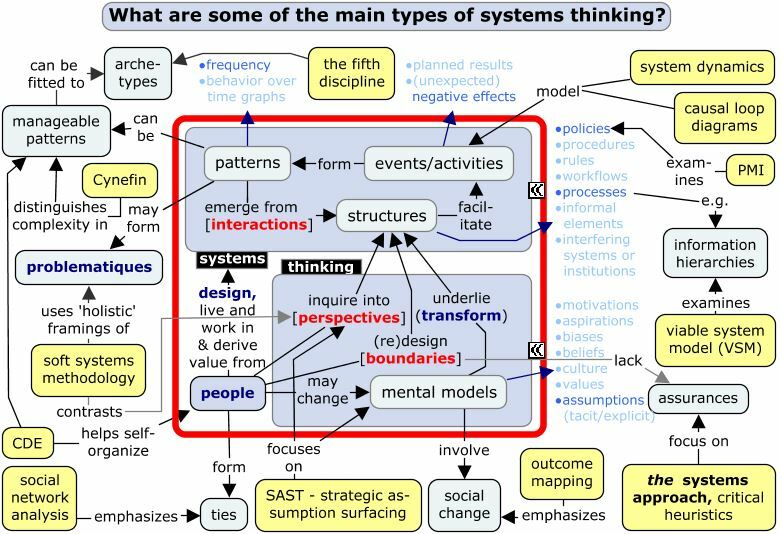 The systems approach … has my particular interest (see bottom right of the concept map). Critical heuristics is a special application of its principles. The entry point in the systems framework core is ‘boundaries’, which stands for system boundary issues (or boundary choices or boundary suggestions etc.). System boundaries are essential in system redesign or systemic intervention design. System redesign is in fact a redesign of the system structure with a view to changing the system activities in such a way to stop patterns that can be perceived as problematic from emerging. Similar descriptions can be made for all the other systems methods. Give it your best. Boundaries lack assurances Another way of explaining how the systems approach (or Churchman’s dialectical systems approach) is special is by looking at its fundamental idea, which is that system boundaries lack assurances, yet we must seek them, implying an endless virtuous cycle. In the 1950s Churchman had been one of the pioneers of operations research, a discipline that uses system dynamics or other mathematical methods to model (business) reality. After having written (in 1957!) the first textbook ever on the subject, he turned his attention to the problem of justification of human action (in business, war, etc. ), because no matter how sophisticated the models and associated decision-making, questions about its justification kept creeping in. Over the course of the next two decades he developed an iterative, teleological framework for critical inquiry of the assurances needed for justification. The framework uses twelve categories of assurance, four of which devoted to the four main actor roles in any goal-oriented decision-making process: beneficiary (or client), decision-maker (or politician), planner (or consultant) and the designer of the rational, goal-oriented decision-making process itself: the systems philosopher. This framework, its underlying principles, and the ways in which it is to be used are what makes the systems approach special, effective and foundational. For more information, click here. Williams, B., & Hummelbrunner, R. (2010). Systems concepts in action: a practitioner’s toolkit. Stanford, California: Stanford University Press. Williams, B., & van ’t Hof, S. (2016). 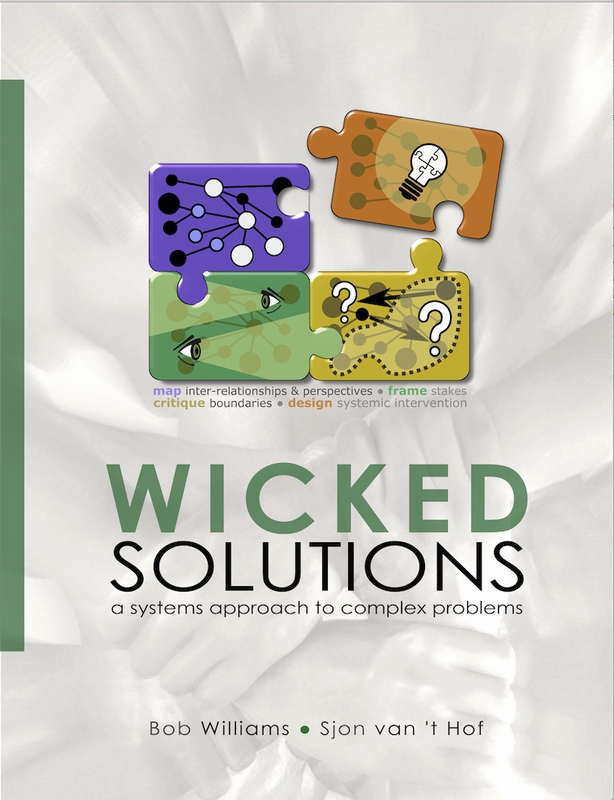 Wicked Solutions: a systems approach to complex problems (v. 1.03). [Lower Hutt]: Bob Williams.